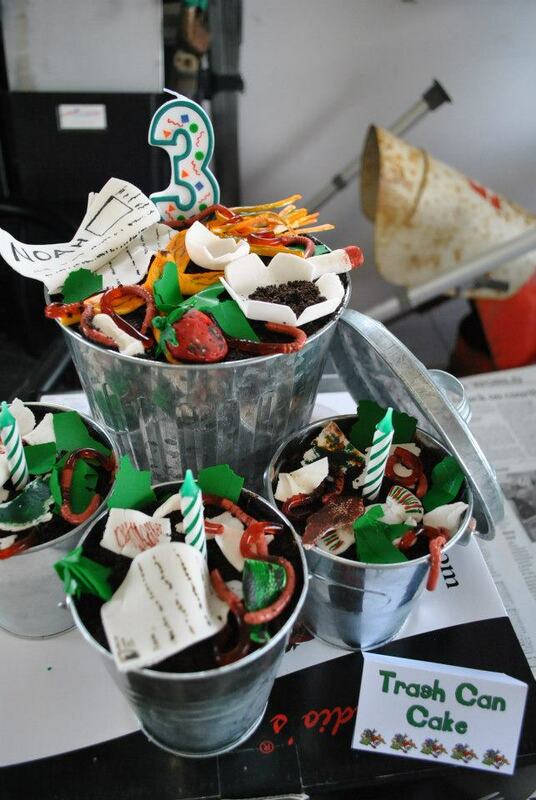 The Little Guy celebrated his 3rd birthday in the end of April and he wanted a garbage truck themed birthday. 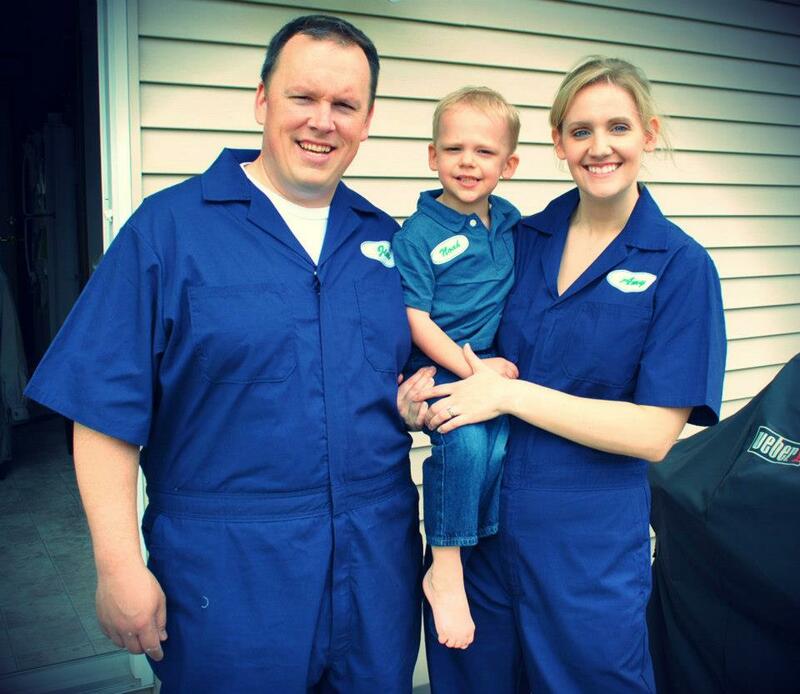 If you know me, you know I don’t do anything halfway (see the Little Guy’s 2nd Birthday). And if you don’t know me, then by the end of this post you’ll know I don’t do anything halfway. A lot of the party was inspired by Pinterest folks more creative than I, and way too many hours of image searching on Google. You are a cruel mistress Google, as I’m not sure what I spent my time doing before you came into my life. I knew I wanted to make a cake in a trash can…mainly because I’m not talented enough to make a cake that LOOKS like a trash can. This was my starting point, and after I got that idea, all hell broke loose — in a good way….in a “creative mom with too much time on her hands, born party planner” kinda way. The items on top are sculpted from white gum paste. I used food grade markers and food coloring with a paintbrush to decorate the newly sculpted trash. The large trash can and three small cans are filled with dirt cake. 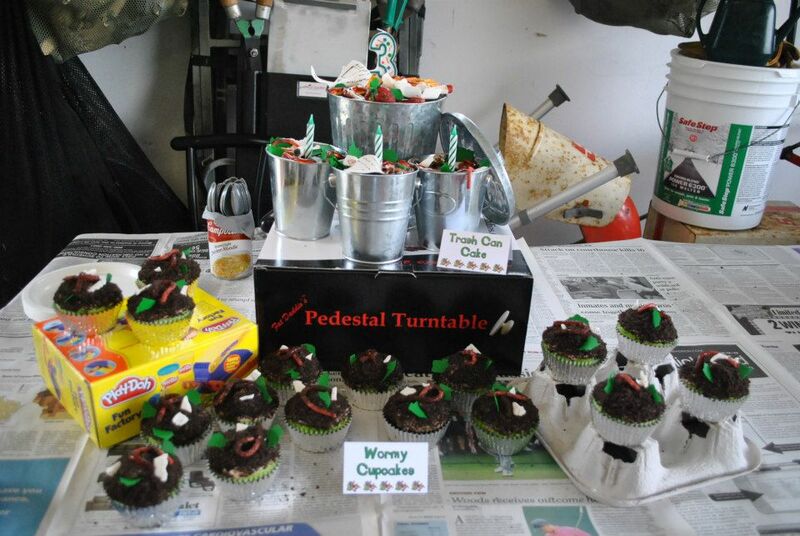 The cupcakes were just a yellow box mix (not homemade I know…stop judging me) I dyed green. 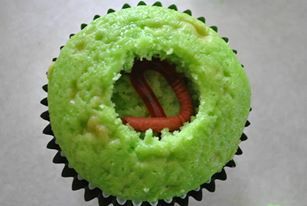 I used my cupcake corer and dropped a jell-o worm in the middle of each one. 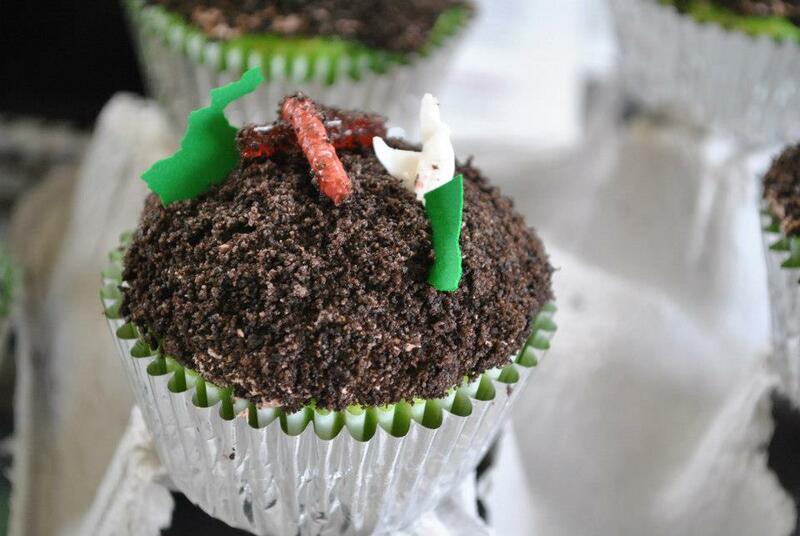 I frosted them with that new chocolate Cool Whip frosting…I know it’s not homemade either but have you tried it? It’s freakin’ delicious! And then I dipped them in crushed OREOs. 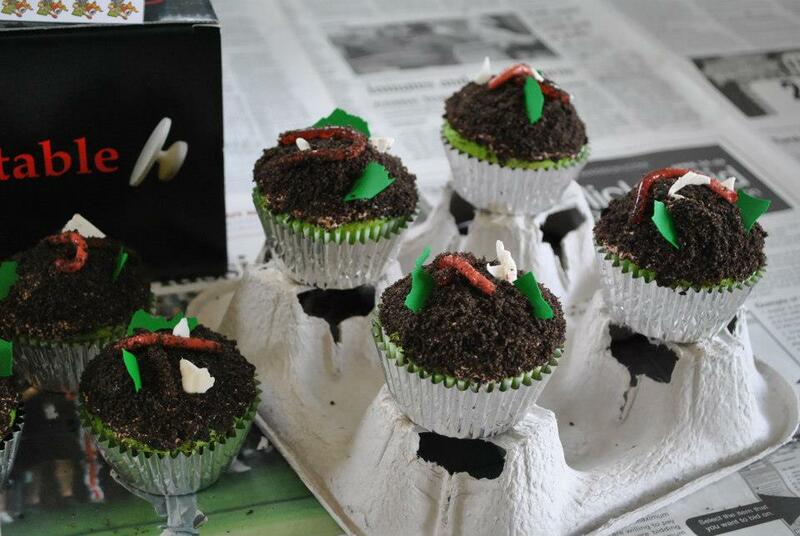 I topped them with more worms, some gum paste bits and a green icing sheet I tore into little pieces. 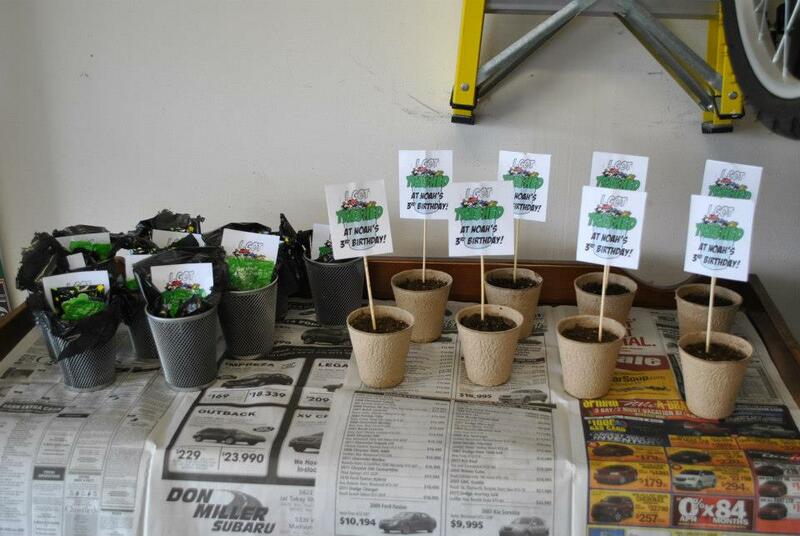 Here was the final display, with newspaper and a few of the recycled items we saved over the course of two months. 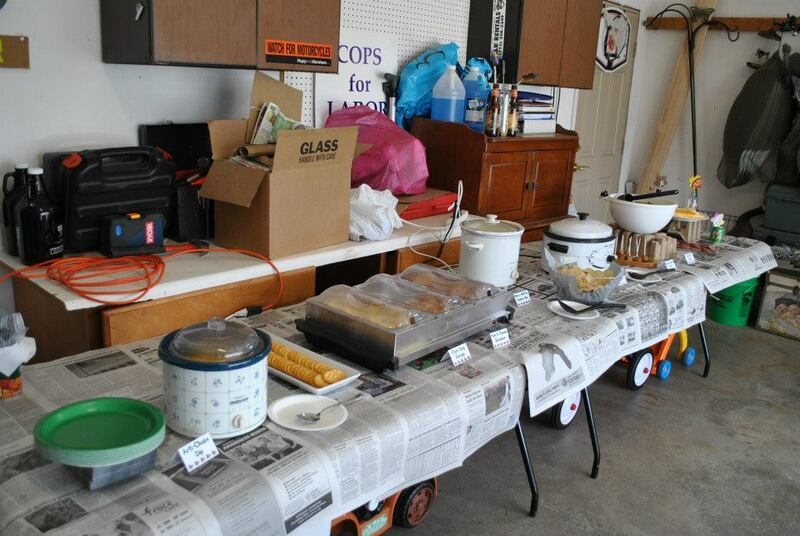 This was the food buffet. All of the labels were garbage themed, fruit fly salad, BBQ garbage balls, bacon rubble pops, arti-choke dip, buffalo chicken slop, etc….Like I said, I have too much time on my hands. 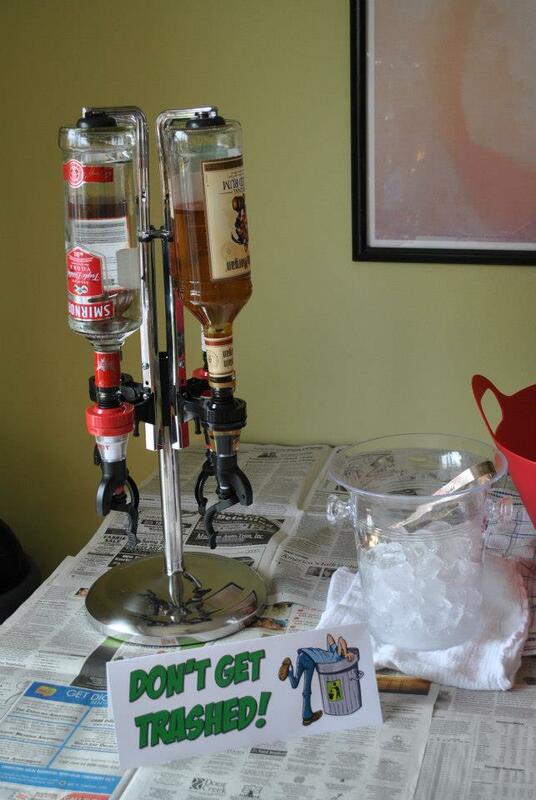 The bar set up. Yes, we had a full bar at a 3 year old’s birthday party. If you have to ask why then you’ve obviously never attended a 3 year old’s birthday party and/or you don’t know how bad the drinking problem is in Wisconsin. 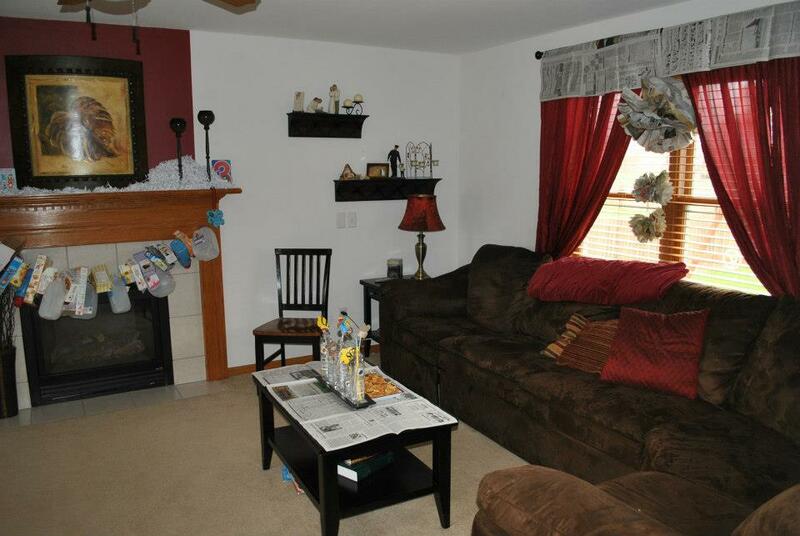 Here’s the living room with some newspaper pom poms, recycled bottle flower vases and garland. 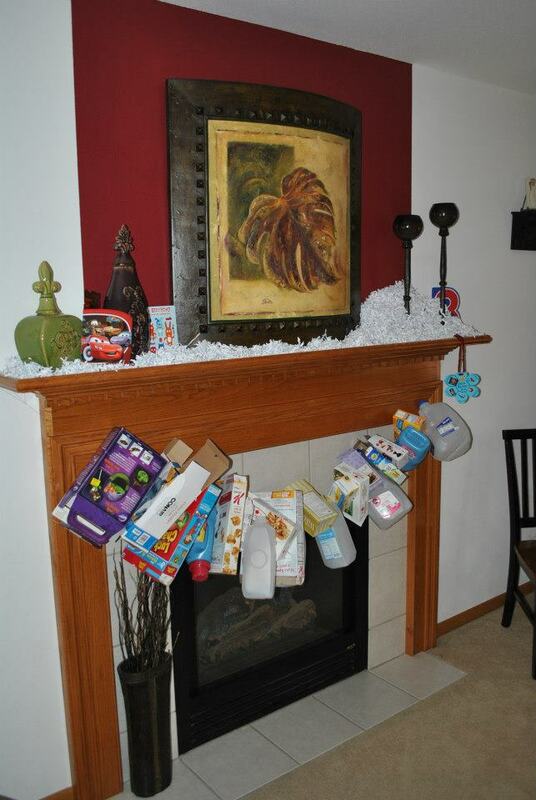 Another shot of the fireplace decorated with the garland and a bag of paper shreds I got from the office. Just like last year, we had lots of folks slow down as they drove past. It’s not a Rolling Sin party if people don’t drive by the house and wonder what the hell is going on. 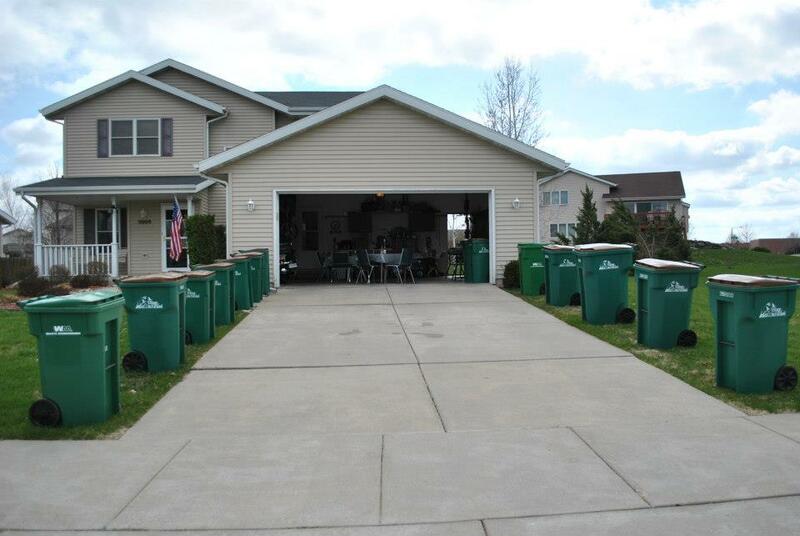 The best part of a garbage themed party is that you don’t have to try very hard to make things look nice, you save lots of money on decorations, and clean up is a breeze! Everything just went into the recycle bin! 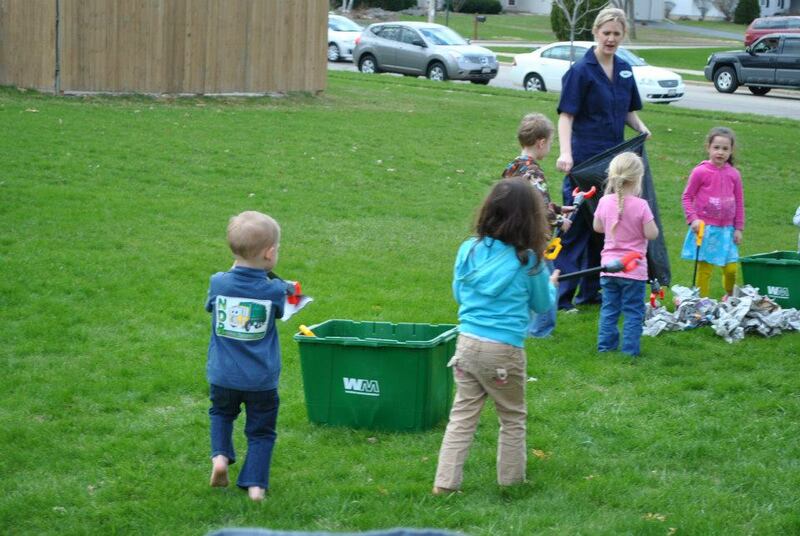 The kids formed teams and had a race to see who could pick up the most trash with their fancy trash grabbers. 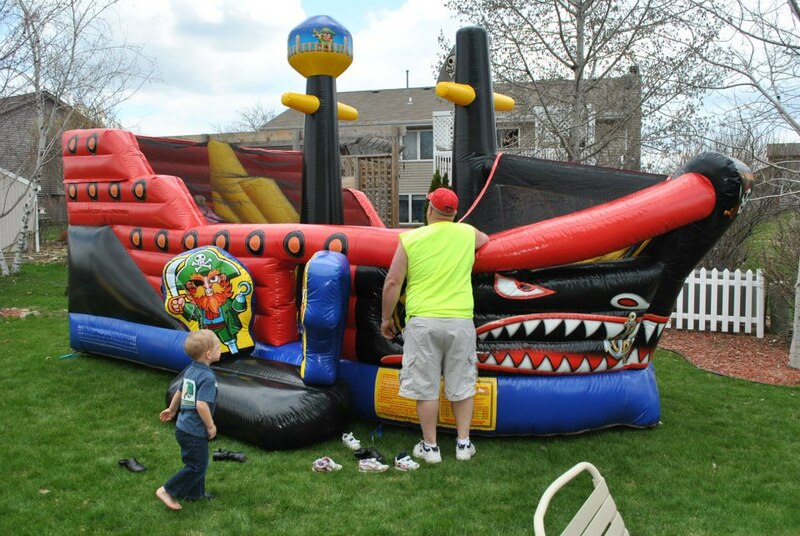 They had a lot of fun, and probably would’ve roamed the neighborhood picking up trash like a miniature prison chain gang, but we rented a giant pirate ship slide/bounce house. I know, a pirate ship doesn’t fit the theme and I struggled with that internally, but I got to bounce in it before everyone else got there and that helped me cope with the theme inconsistency. YARRRRRR!!! That’s my brother-in-law. In 2006 he was captured by Nigerian pirates and held for ransom for three months, finally escaping during a French military raid at sea. I think the bounce house may have brought back some bad memories. I’m just kidding, you and I both know France’s military isn’t capable of raiding anyone. And just because you’re an adult, doesn’t mean you don’t get to play a game at a Rolling Sin party. 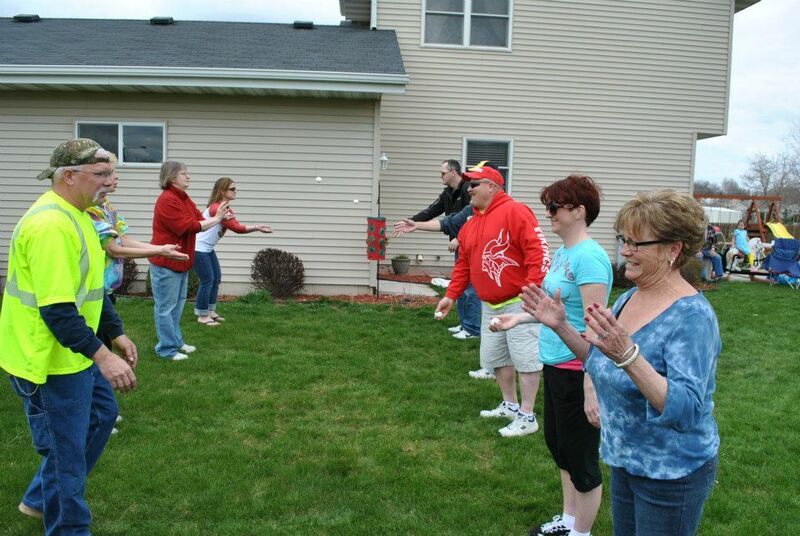 My family members were forced enjoyed playing the Egg Toss game. Can’t you tell how happy my mother-in-law is to be participating? I’m sure this cemented my position as daughter-in-law of the year! 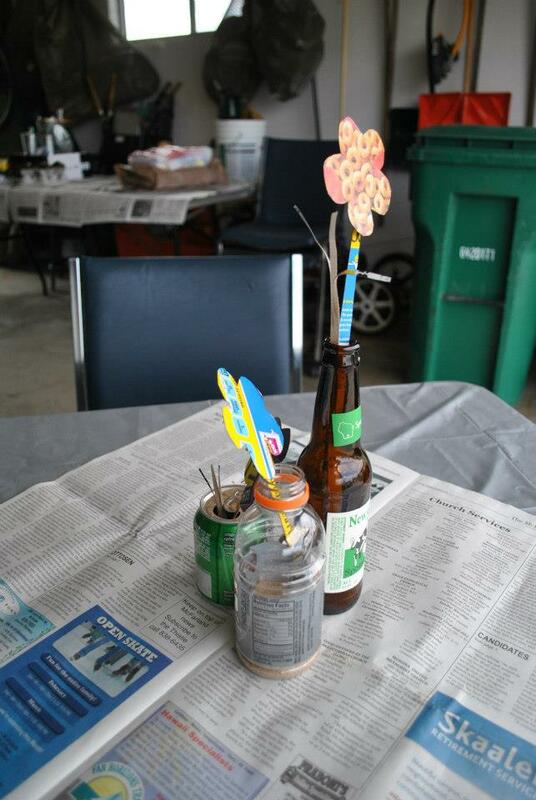 The party favors all the kiddos took home. 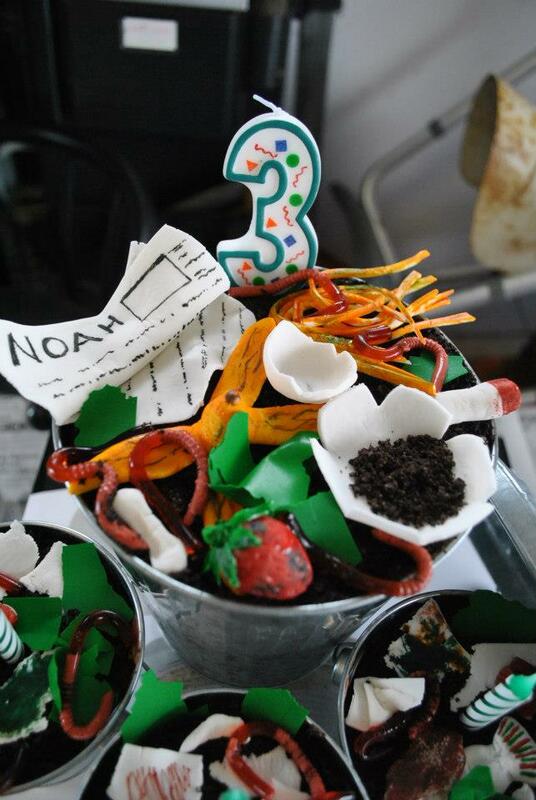 Mini wire trash cans with candy and a magnet that read “I got trashed at Noah’s 3rd Birthday”, and biodegradable flower pots with sweet basil seeds planted. I planted the basil two weeks ahead of time and it still had not germinated by the time of the party, so plant early if you do this as a favor! 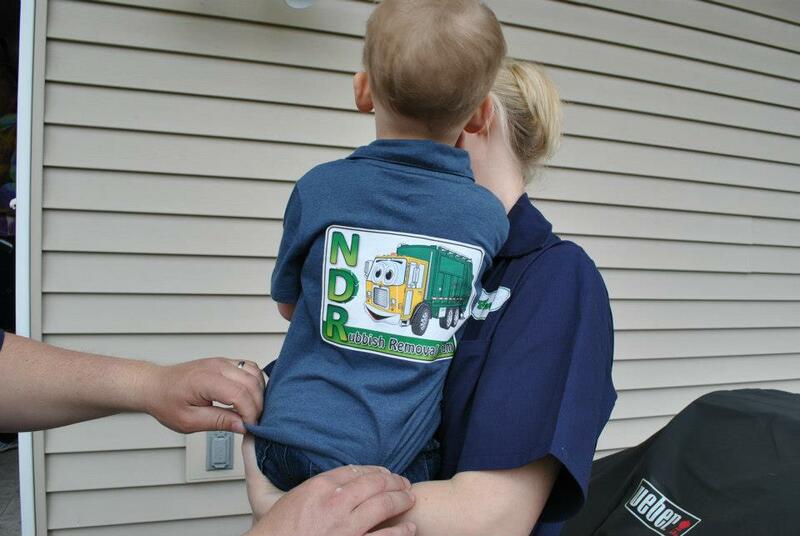 The back of our garbage collector outfits. I created the logo and printed it onto iron on transfer sheets made for dark fabrics. The happy, garbage loving family. Most of the items featured in this post can be found through the links I provided, or simply by doing a search for “Garbage Truck Birthday Party” on Pinterest or Google. this post makes me miss my Midwest. 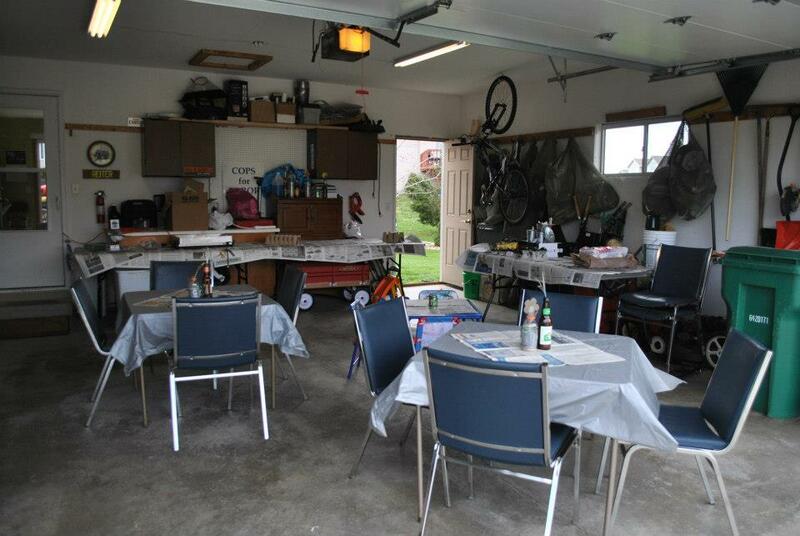 Looks like an Iowa party…tables in the garage, full bar…the cake is outstanding!!!! Thanks! You know us robust and cornfed folks from the midwest have to have our brandy old fashioneds at all social events. I’m more than happy to uncover this site. I wanted to thank you for your time due to this wonderful read!! I definitely enjoyed every bit of it and I have you saved to fav to check out new things in your web site. Would you mind sharing where you found the small galvanized trash cans with lids? Also, where did you find your uniforms? Thanks for the great ideas! Sure! I think the trash cans were just at a craft supoly store like Michael’s and the coveralls I found at Farm and Fleet.